The setting for Willie Shakespeare’s most famous romantic tale is indeed rather lovely. 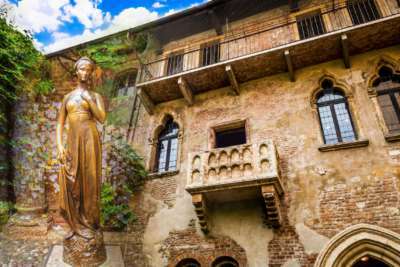 One of the city’s main draws is Juliet’s balcony, which is said to have inspired the playwright, and the building now houses a museum. The interiors are covered in notes from lovers through the ages, and what’s more romantic than being surrounded by echoes of everlasting love? If that’s not really your thing, don’t cross Verona off your list just yet: the charming streets are awash with quaint eateries where you can find pizza, pasta, and ice cream - we reckon it isn’t love if you can’t nick a bit of their food! You can also use the city as a base from which to explore the beautiful Lake Garda, home to sparkling crystal waters and more than its fair share of ancient castles. While its streets are winding and pretty, it’s hard to argue that the Scottish fare has anything on spaghetti in terms of the cuteness factor. Instead, head with some mates to something like the Scotch Whisky Experience, which will teach you all about the country’s infamous tipple. 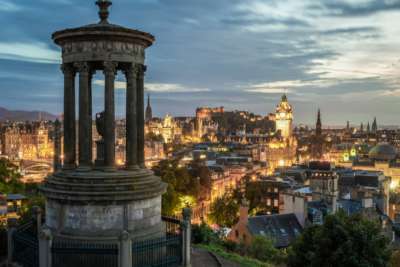 If whisky isn’t your thing and you fancy something a little more historical, try the ghost tours: the city is said to be one of the most haunted in the world, and once you’ve heard the stories you’ll understand why! From witch trials to sadistic generals (and one very cute dog ghostie! ), you’ll learn the terrifying history of Edinburgh. Not an activity for the faint of heart, and perhaps not conducive to the most amorous evening you’ve ever experienced. Zut alors, but of course. How could we miss Paris off this list? Filled to the brim with the language of love, the city has much more to offer. From strolling along the scenic Seine to the museums filled with Romantic (geddit?) painters, you’d be hard-pressed to find somewhere more obviously built for romance. If that isn’t enough to convince you, consider these factors: firstly, the French wine is famously delicious, and there is certainly no shortage. 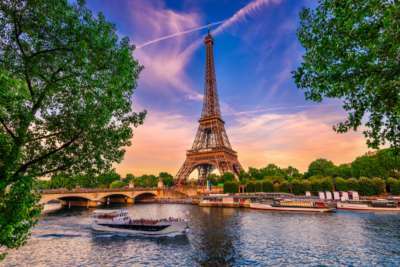 Secondly, French cuisine is literally chock full of aphrodisiacs, so if you’re looking to get lucky, book a table somewhere delightful, order some oysters, and stroll back to your hotel via one of the city’s spectacular chocolatiers. Delish! If you’re looking for more of a detox weekend than a gourmand one, how about grabbing a friend and heading to one of Morocco’s stunning yoga retreats? There are countless detox resorts situated along the pretty coastline, meaning you’ll have a sea breeze blowing through your hair as you attempt tree pose, and the sun warming your back as you try not to topple out of downward dog. They also cater to the wellbeing crowd: there’s no better place to grab a smoothie after a zen session of sunrise yoga with your gal pals. Bliss! The serene blue waters and soft white sand of the Maldives has been the go-to honeymoon image for decades. Add to this that most of the islands only have one or two resorts on them, and you have the perfect deserted island feel - with all the mod cons, of course. For big relationship milestones, we recommend checking out one of the all inclusive deals: delicious food, free flowing drinks and balmy weather make for a trip to remember! Go on, tell us: does the idea of dripping with sweat as you trek through a jungle conjure up feelings of love? 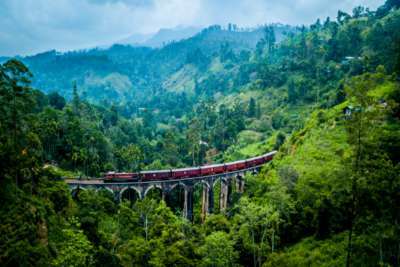 Nah, us neither - and, while we would never discourage going to the beautiful country of Sri Lanka, we reckon it’s fair to say it’s not one of the most romantic places on earth. Instead, why not make it a bonding trip with one or both parents, or a sibling? You’ll see some spectacular sights, be able to get up close and personal with elephants and taste the spectacular Sri Lankan cuisine. It’s an experience you’ll never forget - remember to bring home some of the delicious Ceylon tea that the country is famous for! Maybe your idea of a delightful getaway with your partner is cosying up in the warmth as snow slowly drifts down outside the window. If so, head to Quebec City in Canada. 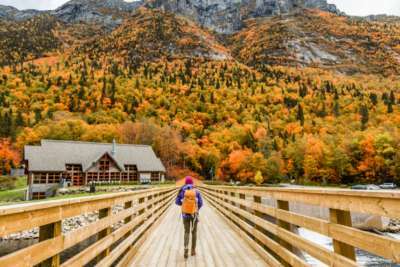 It has a much more European feel than its Americanised counterpart, Montreal, and the cobbled streets are filled with flowering arches and adorable cafes where you can warm up with a steaming mug of hot cocoa. Temperatures can drop pretty low, so we recommend letting things get steamy in an outdoor hot tub in a cabin in the woods as you watch the swirling flakes fall around you. 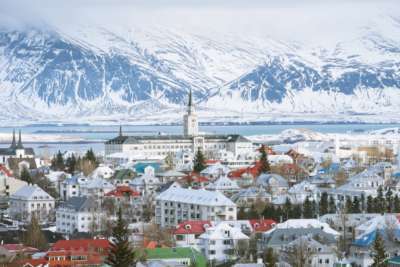 It’s also a great place to experience nature, so pack your hiking boots and get trekking for some spectacular views. If a quiet, secluded trip isn’t your idea of fun, here’s a suggestion for you: grab a group of friends and head to Germany’s capital city. Home of an unrivalled techno scene, the nightlife here is infamously spectacular, and you’ll be dancing along in no time. 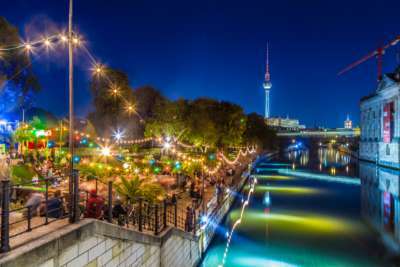 There’s also a myriad of things to do during the day, of course: tour the remnants of the Berlin Wall, or look around the imposing Reichstag building. Alternatively, hop on one of the spectacularly efficient trains heading just a little way out of the city - it’s easy to reach one of the area's numerous lakes, which are a godsend for cooling off in the hot summer months. Pack yourself a picnic and try to avoid the nudist areas... unless you want to join in, of course! 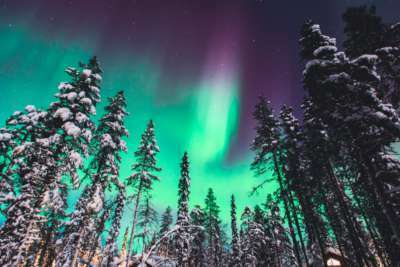 Picture this: you're snuggled up under a few cosy blankets in a glass-domed igloo, watching the sky set alight with the incredible phenomenon of the Northern Lights. Sound heavenly? Yeah, we thought so. The incredible quiet of the Finnish countryside, alongside the celestial bodies floating above your heads, makes for one unforgettable trip. Pack a couple of books for reading in companionable silence, or simply let the awe of the world inspire your conversation. Spend your days on fishing trips, picking mushrooms and berries to enjoy together, or even panning for gold! You'll certainly come home richer in experience, and perhaps even in wealth, too!